Polymeric amines are being studied intensively as components of systems for gene delivery in genetic engineering and gene therapy of genetic disorders, including cancer. Despite remarkable achievements in the field, polymeric amines, such as polyethyleneimine, show some disadvantages. Strong interaction between the amine-containing polymer and nucleic acid hampers the release of nucleic acid in the cell cytoplasm. Amine groups can interact with the cell membrane which results in cell death. These limitations of polymeric amines stimulated an investigation of new structures for gene delivery. Imidazole-containing polymers have attracted attention as lesser basic substances, while they are able to interact with polymeric acids. Further development of imidazole-based gene delivery agents requires knowledge about some fundamental aspects of interaction between nucleic acids, and polymeric imidazoles. In this work, we studied the complexation of poly(1-vinylimidazole) and oligomeric DNA. 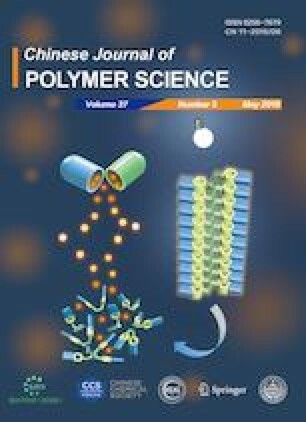 We found that the number of active sites capable of binding with negatively charged phosphate groups is comparable with the number of protonated imidazole units in the case of high molecular weight polymer. The increase in polymer charge by 1-bromopropane quaternizating 1%−5% imidazole units or by decreasing the pH to 6.5−7 considerably increased the ability of poly(1-vinylimidazole) to interact with oligonucleotides. The pH sensitivity of this interaction is interesting for cancer gene therapy because the tumours have a lowered intercellular pH (stable oligonucleotide complex) and a higher extracellular pH which can lead to complex dissociation. Minimal critical length for complexation of quaternized poly(1-vinylimidazole) and DNA is below eight units which corresponds to polymers with amine groups. Fluorescence-tagged poly(1-vinylimidazole) samples were obtained and their potential for monitoring the polymer and polymer-oligonucleotide complex internalization into living cells was demonstrated. Supplementary material is available for this article at https://doi.org/10.1007/s10118-019-2240-1 and is accessible for authorized users. We acknowledge the financial support from a joint grant of the Russian Science Foundation (16-45-02001) and the Department of Science Technology of the Ministry of Science and Technology of the Republic of India (INT/RUS/RSF/10).